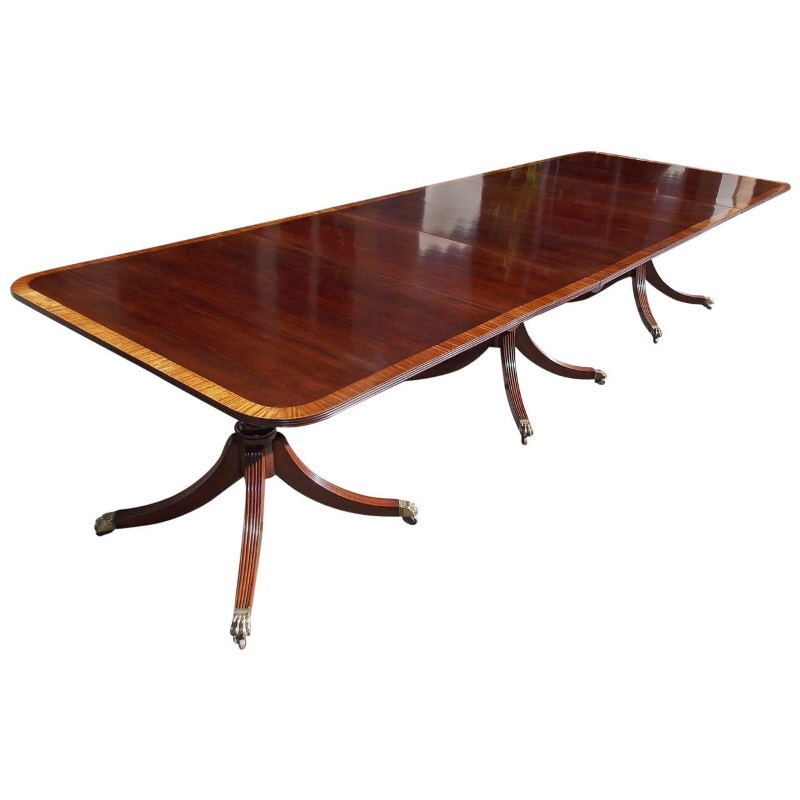 English mahogany triple pedestal tilt-top dining room table with cross banded satinwood, original two removable leaves, terminating on saber legs with original lions paw brass casters. Early 19th century. Table can be used without two leaves and center pedestal section.